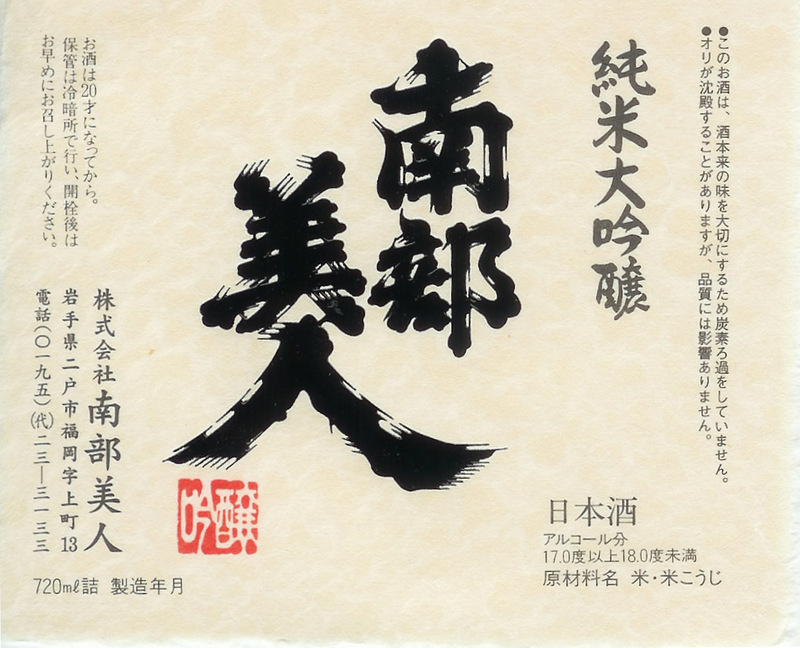 Milled to 35%, this elegant, lush Junmai Daiginjo is bold and robust due to being nama-chozo genshu. This means the sake was pasteurized only once rather than twice (nama-chozo) and that no water was added to dilute the alcohol after brewing (genshu). The result is a strong sake with some of the livelier flavors generally associated with unpasteurized sake.